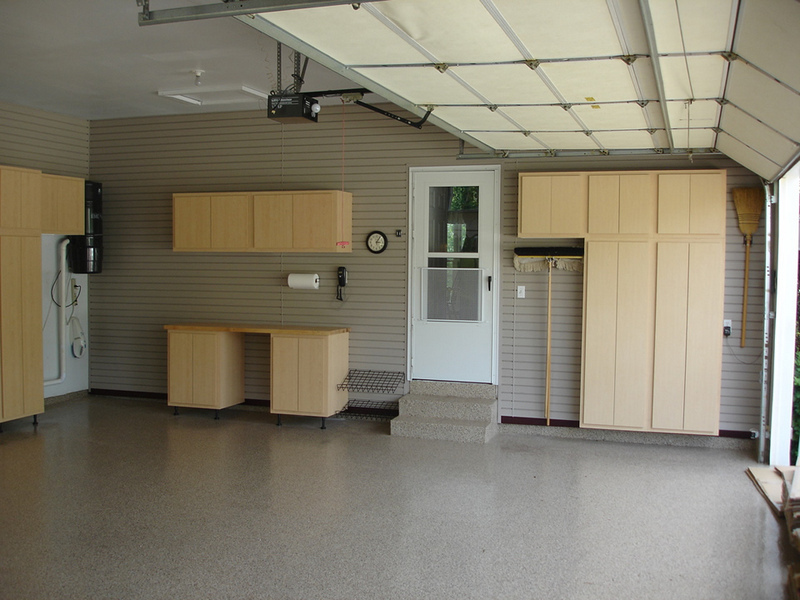 Garages are as important as any other room in a house. 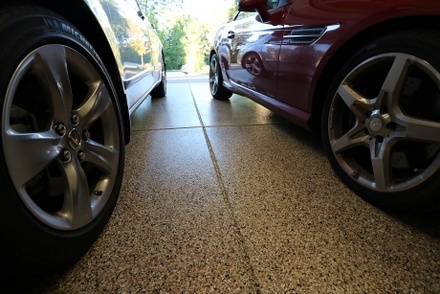 In San Jose, CA, almost every home has a car and a garage. 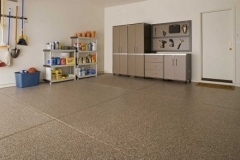 Every single garage owner knows how often a garage floor gets damaged. 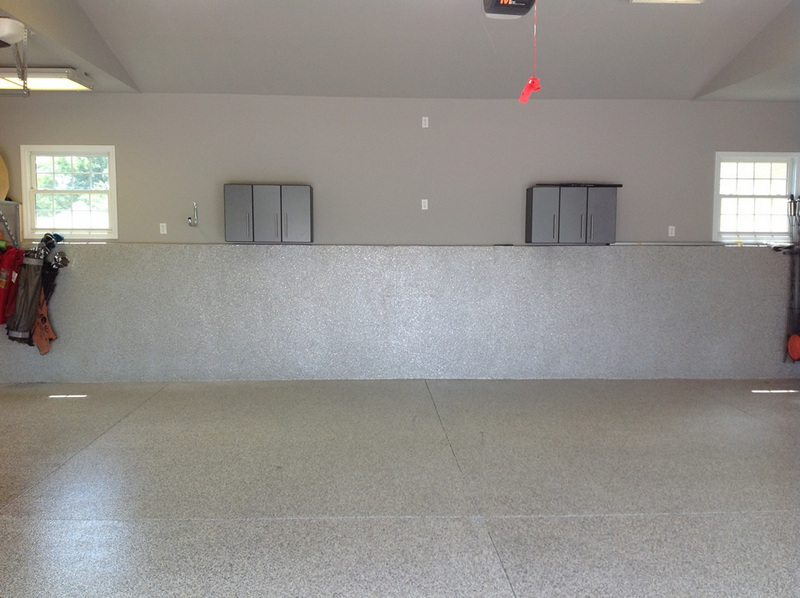 The concrete floor gets cracks, holes, grease stains, and tire tracks. 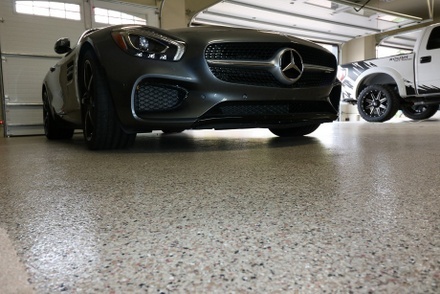 It is almost impossible to find a garage flooring material that could keep up with the tremendous damage it often goes through. Well, now there is, not one, but two solutions that are totally efficient. Epoxy and Polyurea Polyaspartic coatings are the hottest trend in garage flooring nowadays. 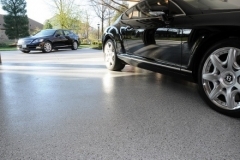 These provide a tough and durable surface, protecting the slab underneath. It creates a better look, which is rare in garage flooring. 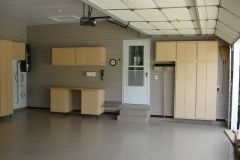 If you are sick and tired of worn-out garage floors, now is the time to acquire one that you deserve. 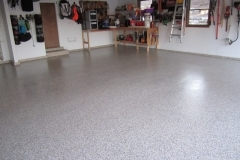 Epoxy Flooring Garage – Epoxy floor coating, made of equal amounts of epoxy resin and polyamine hardener, is a highly popular material to coat concrete garage floors with. 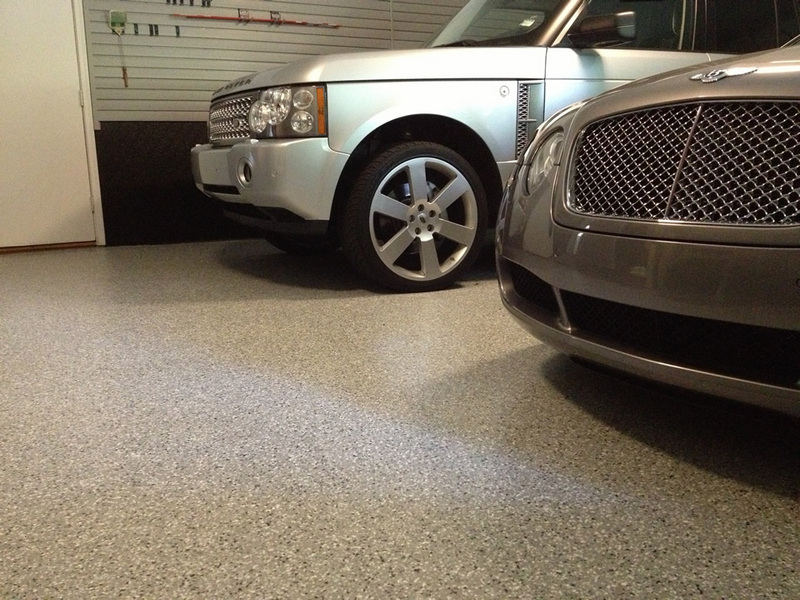 This garage floor epoxy cures to a very tough plastic that is highly aesthetic, seamless, and long lasting. 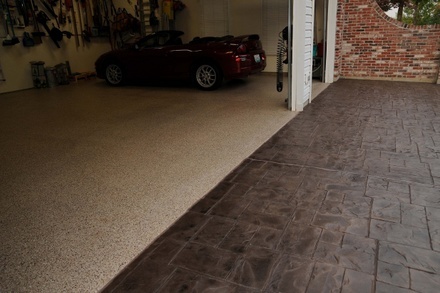 It does not acquire stains, because it is non-porous, and it does not flake or peel off. 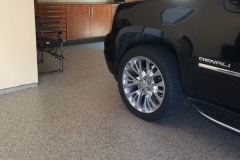 It can be customized with micro paint chips, giving it a granite or terrazzo-like appearance. 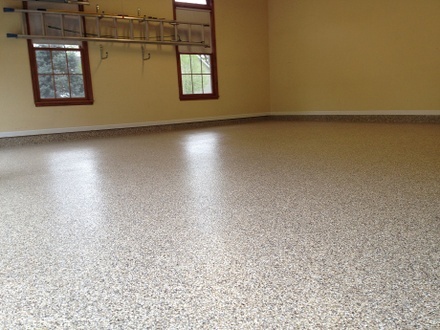 Polyurea Polyaspartic Coating – Is an epoxy alternative. 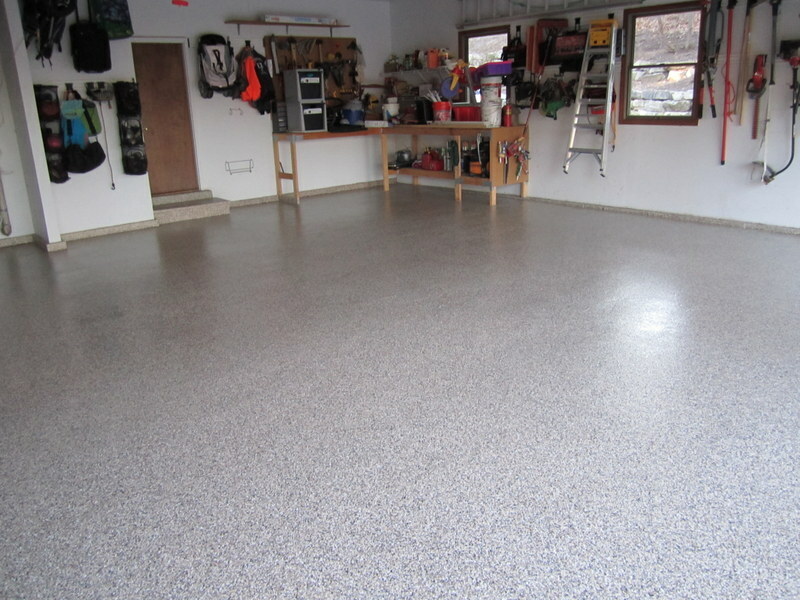 Originally formulated for use on industrial floors, this has become a popular garage floor coating for many reasons. First, it is a really tough material and absolutely non-porous, thus, less likely to be damaged by spills or dirt. Second, it is a fast-drying material. It can be installed and used in just one day. Although it costs a bit more than epoxy flooring, it is still more economical than concrete replacement or using more high-end materials. 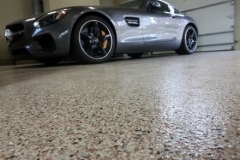 Just like epoxy, this can also be enhanced using micro paint chips. 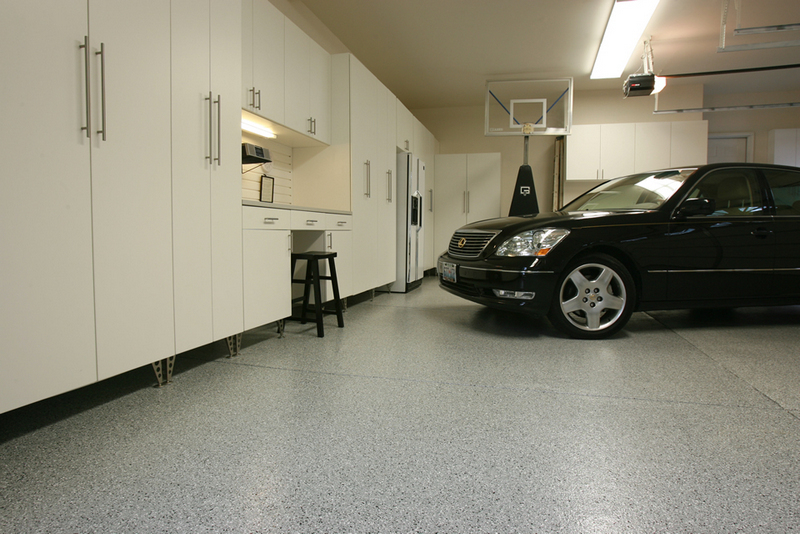 Got Garage Flooring Ideas? Call (408) 709-7256 today! 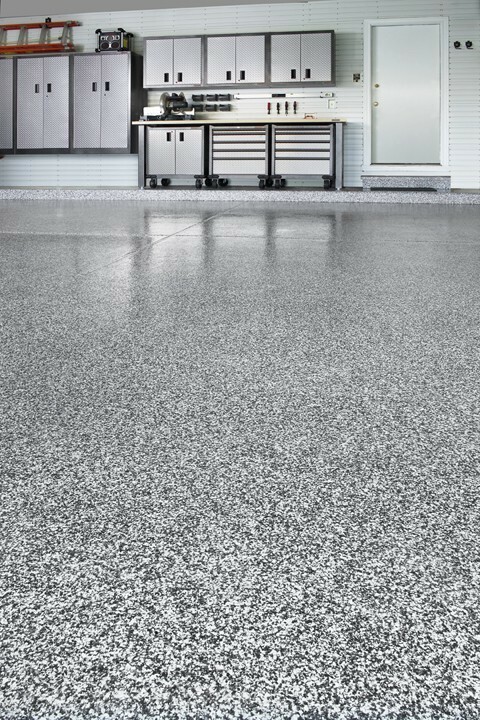 It’s high time you say goodbye to ugly, damaged garage floors and make the decision for a decorative concrete resurfacing solution! We at San Jose Concrete Resurfacing are more than happy to impart our experience and expertise so you could benefit from gorgeous garage floors at rates you can afford. 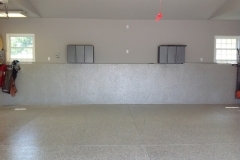 We service both residential and commercial locations in the San Jose, CA area. 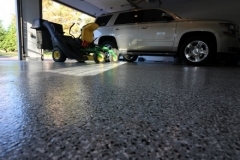 We also resurface, refinish, and repair concrete pool decks, patios, driveways, interior floors, and commercial flooring. What are you waiting for? We are just a call or email away! Will an epoxy or polyurea polyaspartic coating make the garage floor slippery? Although these coatings are seamless and smooth, it is not slippery at all. 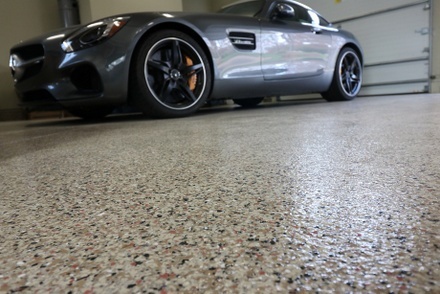 But if you want to make sure, you can add an abrasive additive to the coating or to the sealer, if you will use one, to increase traction. Is a resurfaced garage flooring really maintenance-free? 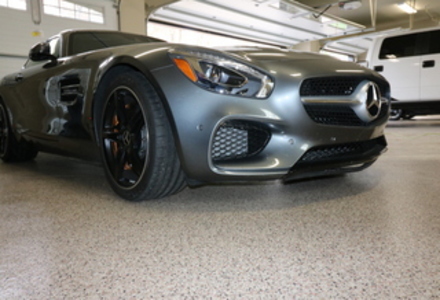 It is not maintenance-free but it is low-maintenance. 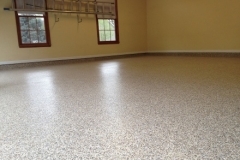 This means it requires simple, easy, and infrequent cleaning as compared to other flooring materials. A sweep and dry mop is enough to maintain its look and to keep it clean. 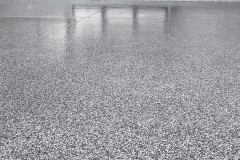 An occasional wet mopping is enough to remove stubborn dirt. It does not even require chemical-based cleaning products. 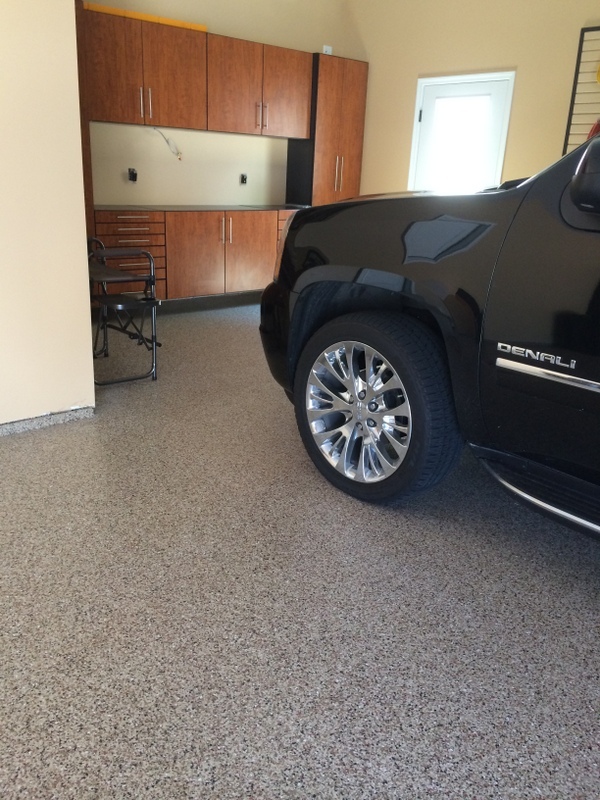 Call us at (408) 709-7256 for a FAST FREE QUOTE!